Partnering with leading ecommerce specialist BigCommerce means that we can provide you with a powerful small business e-commerce store with everything you need to sell your products online and the Bigcommerce ecommerce website builder will provide your clients with a second to none online shopping experience at your store. Try BigCommerce for FREE for 15 days. No obligations. No hidden costs. Full functions. FREE. A 15 day, no obligation, full function trial is available on BigCommerce - create your online store now and receive free support during your trial period! Easy to use one page check out. Repayments and credits for in store purchases. Customizable check out form fields. Dates for delivery and events. Add multiple products to shopping cart. Easy to use one click reorder function. BigCommerce supports easy to create meta data such as page titles, meta descriptions, meta keywords, custom URLs, and the important, but sometimes forgotten, image alt attribute. All these features allied with relevant optimized online store content will help you get your online store a good page ranking with the major Google, Yahoo! and Bing search engines for your small business e-commerce website. And what that means is more visitors to your online shop and more opportunities to convert them to customers. 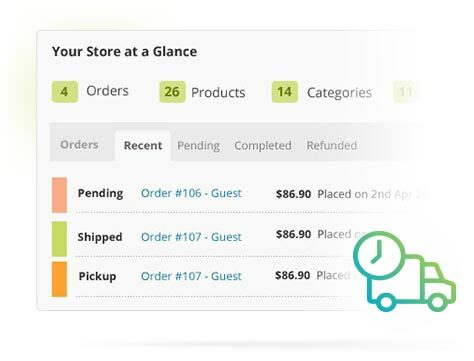 The control panel displays orders that have been shipped, orders waiting for dispatch and orders that have not yet been paid for. 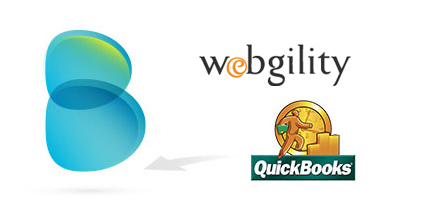 Orders can be processed separately, or in bulk by printing invoices and packing slips. Dropship can be supported by adding applications such Ordoro or Doba. 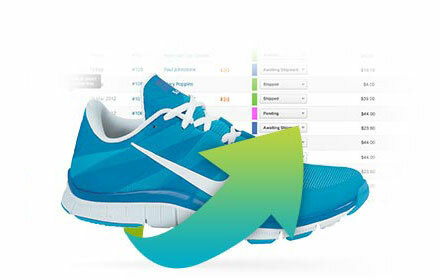 Inventory stock quantities can be viewed at product and product option (size, colour, etc.) level. Low stock levels can be set so that you know when to reorder products and to automatically stop a shopper from purchasing product when no is stock available. BigCommerce supports refunds, replacements, credits, and stop returns. There is also an authorization based process allowing staff at allocate returned goods with return reason codes and action codes. BigCommerce ecommerce platform easy to set up and use features and CRM Asia Solutions pre sales and implementation services, including training videos, means that your online shop is quickly set up for shoppers to come and buy your products. 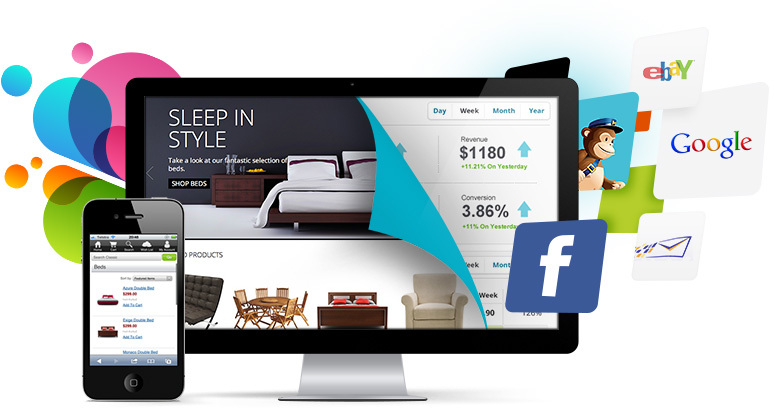 BigCommerce supports the eBay, Facebook, Pricegrabber and Shopzilla sales channels and it is fully optimized for mobile shopping. 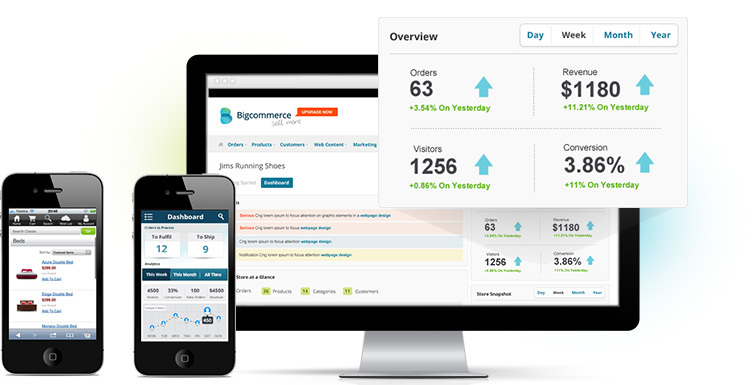 BigCommerce supports great marketing features such as Google AdWords and Yahoo! Search Marketing and the Google Website Optimizer which examines your online shop to determine what will help you to sell to your shoppers. 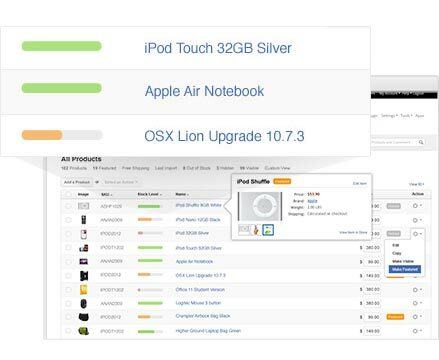 Pricing starts at around £16 per month for 100 products, 3 staff logins and 1 GB of storage. A 15 day, no obligation, full function trial is available on BigCommerce, create your online store now and receive free support during your trial period. Contact us today at info at mangoho dot com or click here for more information on the leading e-commerce platform for small businesses. Sell more with an online store powered by the BigCommerce platform.